When Mike Bobo does something, he goes all the way. Bobo and his staff went after – and secured the commitments of – some definite Power 5 conference athletes, only to lose them just before or during Signing Day. Bobo’s never satisfied, a motto that has represented his two years of coaching at Colorado State. Throughout that tenure, which has seen a 14-10 regular season record – though, 0-2 in bowl games – Bobo’s stated his purpose with CSU: To win a Mountain West championship. And if Bobo wants to do just that, he’s got to have the athletes to make it all happen on the field. “I think it’s hard if you don’t challenge yourself and go after them,” Bobo said of recruiting P5-level players and the difficulty in winning out over a P5 school. 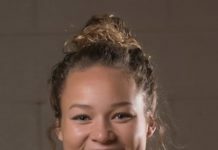 “I think it’s just a consistency of, ‘Don’t sell yourself short or this program short of what you can do here at Colorado State. “Sometimes it’s a perception of, ‘This P5 is here, and we’re here’ which I don’t agree with at all,” he said. In the weeks leading up to the big day, “#RAMPAGE17” was impressing not only CSU die-hards, but some outside the borders of Colorado, too. Heading into Wednesday’s National Signing Day, Colorado State was ranked as high as 64th in the nation according to 247sports.com and 60th by scout.com. They eventually fell to 74th and 66th, respectively. Bobo had convinced a great group of 3-star players to attend Colorado State, only to lose multiple – mostly on the defensive side – just before or during National Signing Day. David Porter went to the University of Arkansas in his home state, Jamal Gates elected to attend Florida International, also his home state, and Sincere David was lured away by Ole Miss on Wednesday. But, just getting those players to verbally commit to CSU was difficult in the first place due to perceptions from people who haven’t traveled to the great Centennial State. So, how does Bobo, and his staff, convince them? “I think it’s that feel of a family atmosphere when they come,” he explained. “It’s not just us as a coaching staff as a family, we involve our families on the trips. 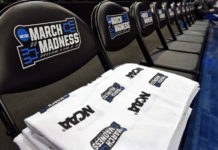 I really believe it helped [that] this year the NCAA allowed for us to pay for recruits’ families to come, moms and dads. “A lot of moms and dads sit in my office and say, ‘This is not what I expected. I came out here with my son and I did not want him to come to Colorado, and [now] I want my son to go here because it feels like home. It feels like a family.’ And that’s probably 75 percent of the parents that sit in my office,” Bobo said. After that, people from the football hotbed aren’t sure about Colorado State in particular because they’re a G5 school. Not being a Power 5 conference team, Colorado State is behind the eight ball when it comes to landing the best players around. The Rams can’t compete for a National Championship from the Mountain West. Yet, Bobo’s worked to build a Power 5 coaching staff, many of whom he’s brought along from Georgia of the SEC. And his team is competing with P5 schools – save the debacle in the Rocky Mountain Showdown last year. While he’s been building something special on the field, and a special new field is about to be christened at the on-campus stadium in September. “I think momentum is building for us as a football program,” Bobo explained. “I think guys are excited about Colorado State and what we’re doing. Some of those guys include Warren Jackson, a lanky speedster of a wideout the Rams were able to flip from Arizona at the last minute. Another is Marcus McElroy, a talented running back out of Denver’s J.K. Mullen High School. And how about Luis Lebron, the 355-pound offensive guard? Those are just a few of the high school guys, with five junior college transfers looking to make an immediate impact as well. When it was all said and done, Bobo and his boys put together a well-rounded, talented and athletic “RAMPAGE17” class, even if it fell short of some uniquely lofty expectations in Fort Collins. 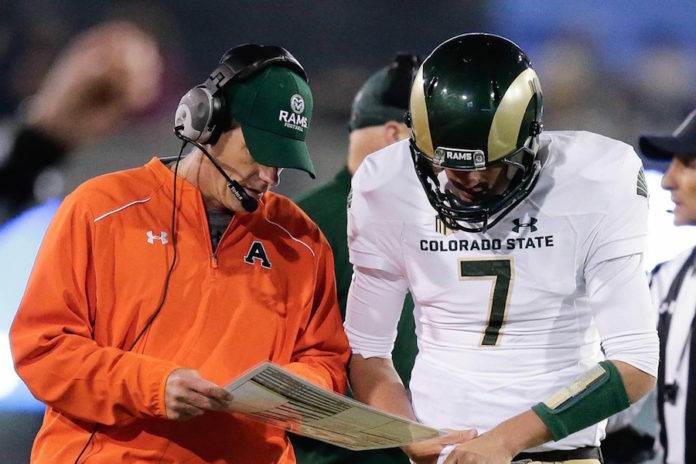 And after putting together two winning seasons in a row, Colorado State’s head coach is working to alter the outside perceptions of his school and prove to the world the Rams are among college football’s elite.